This is a quick appetizer that’s easy to throw together. It scales well for two people or for a crowd. 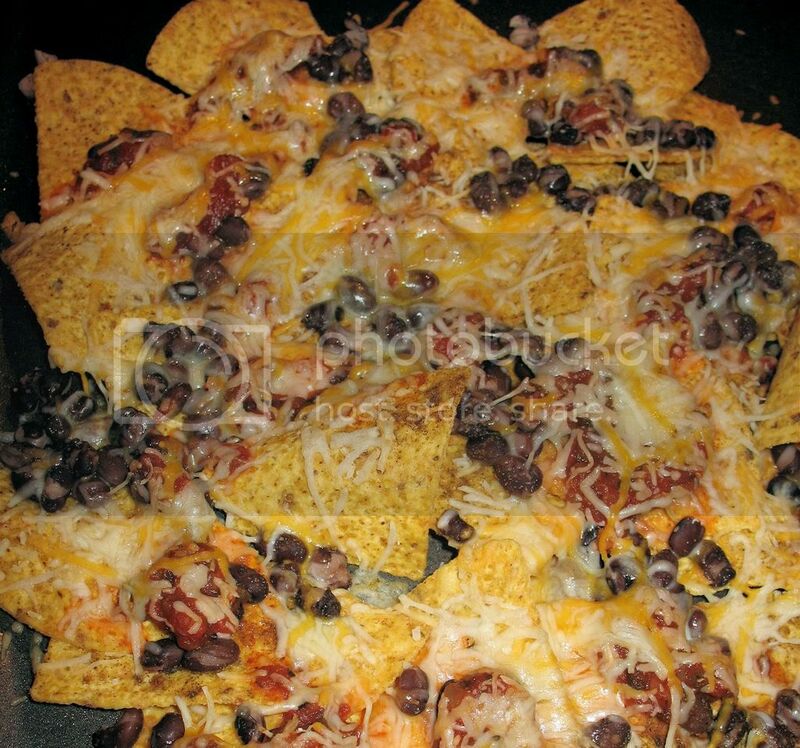 If you want a more elaborate nacho plate, you could easily added ground beef, onions, peppers etc. I like to prepare this nacho plate on a rimless cookie sheet because it makes transferring to a serving dish a breeze. 3. Cover cookie sheet with desired amount of tortilla chips. 4. Layer chips with desired amount of black beans. Sprinkle with cumin. 5. Cover black beans with salsa. 6. Sprinkle cheese over top. 7. Bake for 8-10 minutes, until cheese is melted and starting to brown lightly. Serve immediately.